As I look back on this year, I am so thankful for how we get to join God in His amazing, redemptive work in the lives of children and in the Body of Christ around the world. This has been a year of big things for us at Compassion. We reached a huge milestone: We completed our work to update our technology systems. This took the collaborative effort of so many in Canada and around the world. We thank our supporters for their patience during this time, and we look forward with expectation to how the Church around the world will be able to reach out to even more children thanks to these system improvements. 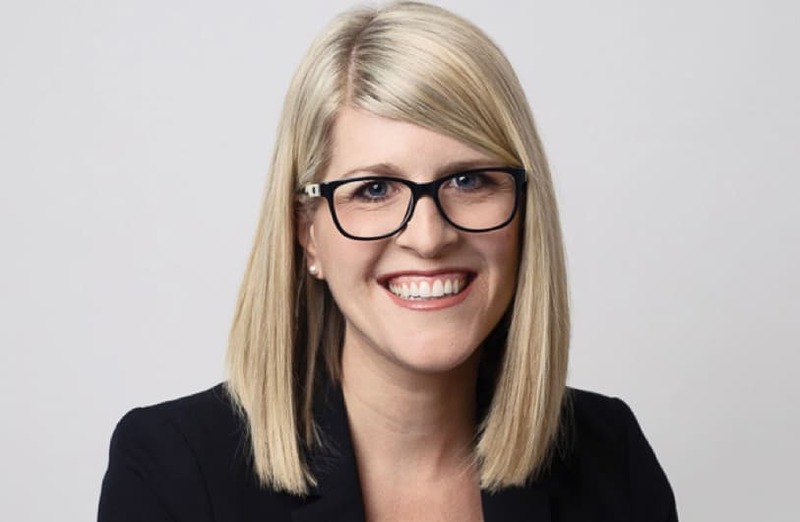 Our board also made a significant announcement: Allison Alley will be our next President and CEO when I retire in October 2019. We are so thankful for God’s clear direction to our board and for Allison’s passion for the gospel and for children. 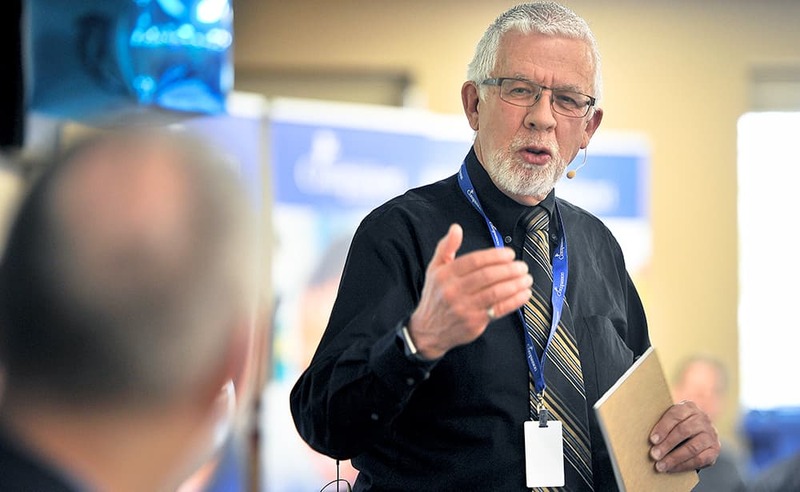 Please read on to learn how God is at work in hearts in Canada, in churches around the world, and in the hearts of children living in difficult circumstances. As I enter this next fiscal year, I am full of gratitude for what has come before and full of excitement for what I know God yearns to do in the coming year. Thank you for partnering with us to join the Church in releasing children from poverty in Jesus’ name. The Board of Directors considers it an honour to gather three times every year to prayerfully and thoughtfully lead this ministry. 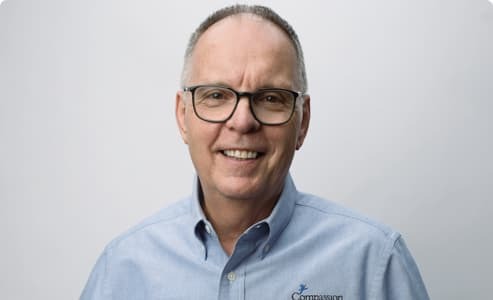 Having witnessed firsthand the transformative power of the gospel at Compassion centres around the world, our board is highly invested and motivated in the mission to release children from poverty in Jesus’ name. The highlight of the past year was the unanimous appointment of Allison Alley as our next President and CEO. She will be a wonderful successor to Barry Slauenwhite, effective October 2019. The process of her appointment was clearly led by the Spirit of God and has built confidence in God’s faithfulness. I am also extremely proud of the resilience and steadfastness of our Compassion Canada staff as they worked with focus and purpose amidst a busy season, full of change. 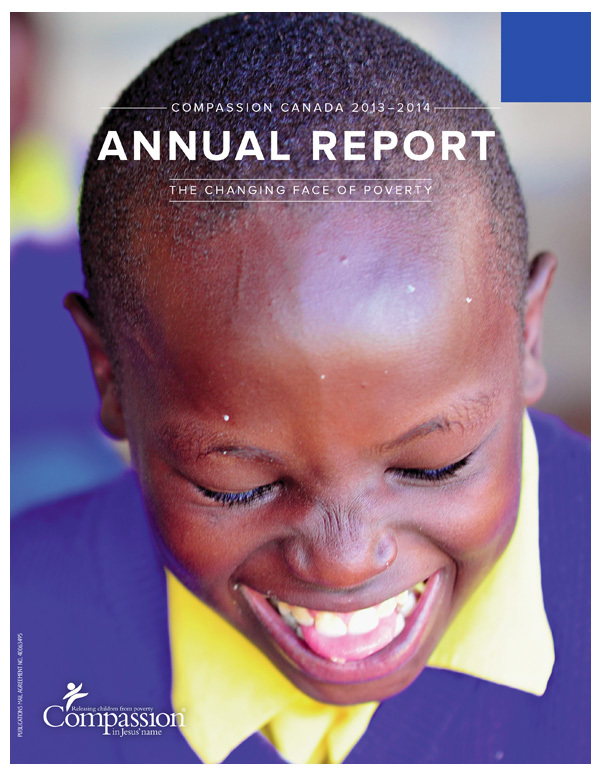 May this encourage and strengthen your commitment to Compassion Canada. 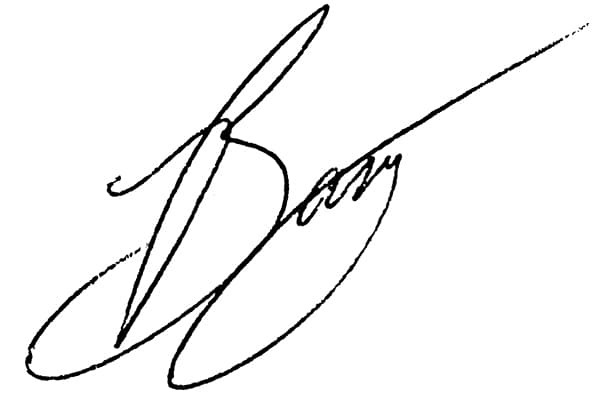 On behalf of the Board of Directors, I thank you for your faithfulness. Your capacity to encourage a child in poverty and inspire them to put their hope in a God who unconditionally loves them will bear much fruit in Jesus’ name. We want the Church to shine brightly as it displays the love of Christ for all to see. That’s why we partner solely with local churches around the world to help children escape poverty. Everything we do is designed to meet the specific needs of individual children. We help them identify their passions and talents while gaining skills and resources to overcome poverty. We want all people to experience the love of Jesus firsthand and to have the chance to be freed from poverty in every sense: having their practical needs met and hearing the good news about Jesus! Here are the leaders God uses to steward our ministry. Vice President of Construction, Teng Inc.
Twenty-year-old Fataw is from Burkina Faso, where formal employment is hard to come by. But this smart, hard-working Compassion graduate is now a police officer. “I received good education and Bible teachings at the centre that led to my success,” says Fataw. 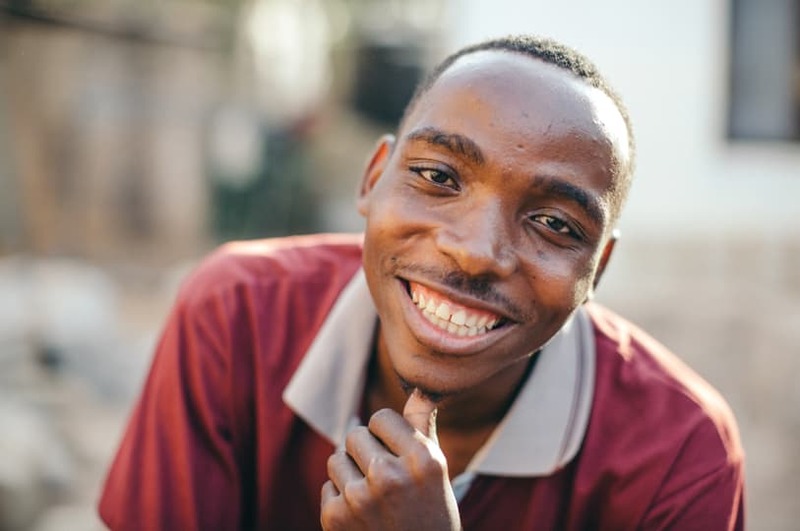 “I learned at the centre to always trust in God and pray prior to any undertaking in my life.” One of the first graduates of this centre, Fataw is an inspiration to all the younger children that success is possible! 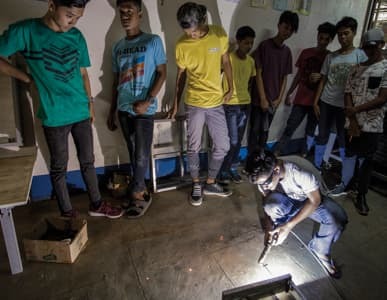 At the Aklan Baptist Student Centre in the Philippines, students are getting opportunities to study vocations such as welding, automotive repair, baking and computer technology. “The training is perfect for me, because studying in college is not my thing,” says 19-year-old Joseph, who has proven to be a welding and electrical rock star. He is working toward his national certification in both trades and is already earning some income to help his family. As our Leadership Development Program continues to wind down, with just 19 Leadership Development Program students sponsored by Canadians remaining, Compassion continues to increase educational and vocational opportunities to students through our generous donors. This past year, Compassion began a ground-breaking, multi-year study that calls on leading youth development experts to explore how we can build a stronger program for youth. It’s called Positive Youth Development, and it’s based on focusing on youths’ strengths rather than their weaknesses. 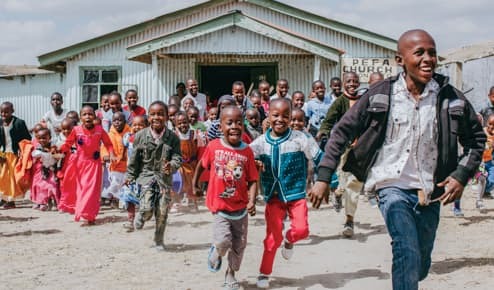 This unprecedented global study brings together researchers from Boston College, Fuller Theological Seminary, Tufts University and Compassion to discover what young people living in poverty need to thrive. One-year-old Patnaree from Thailand is one of the little ones receiving vital care through our Survival initiatives. Patnaree was born with an abnormality in her stomach that required surgery. 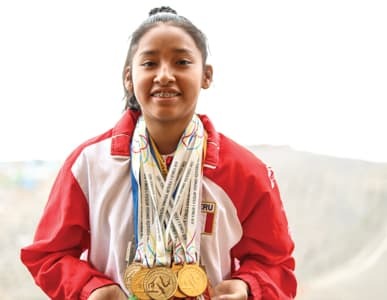 But she was denied service at local clinics because of her background—she is the daughter of ethnic minorities who fled violence in a neighbouring country. Through our generous donors, Patnaree received the surgery she needed. 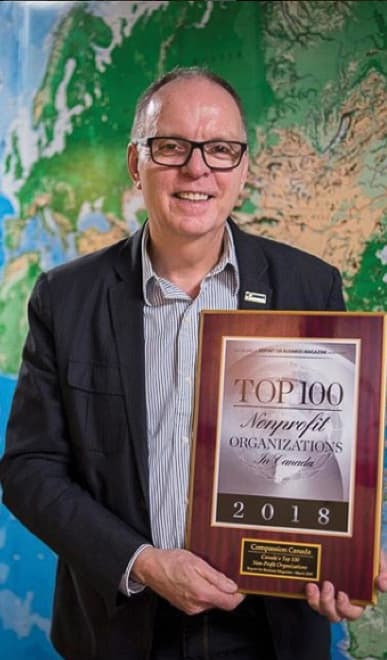 This year, Compassion Canada was named one of the Top 100 Charities in Canada by MoneySense, receiving an overall grade of A-. Praise God for this blessing! Jean Toole of Halifax, NS, has been sponsoring with Compassion for 63 years! This 88-year-old began sponsoring with her parents in the early days when Everett Swanson first started the ministry in the 1950s in the aftermath of the Korean War, and she continues faithfully to this day. 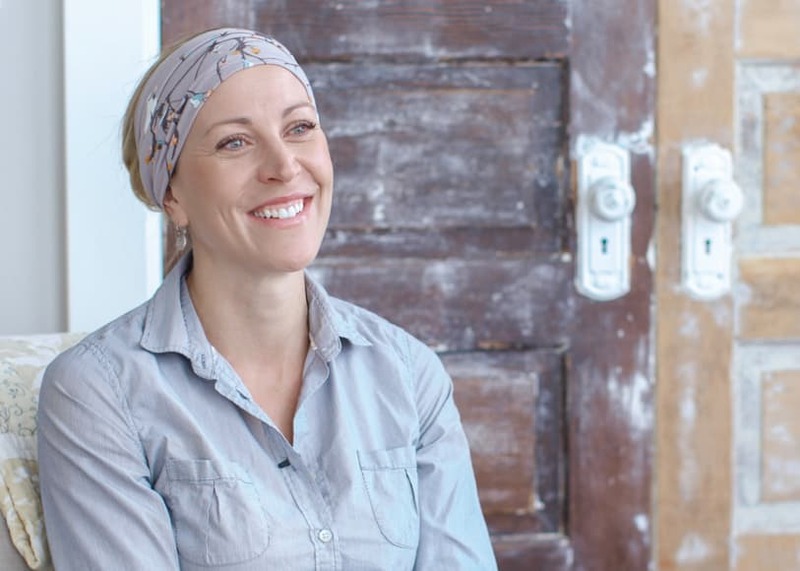 This generous woman knows about perseverance and says, “If you are consistent with giving, there is no immediate impact, but the impact is still there. 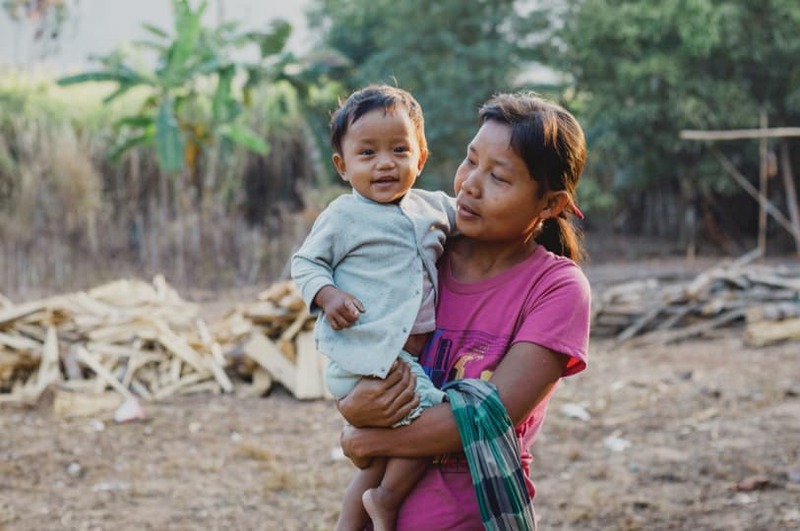 If children are cared for, they grow up to be adults who will act in the same fashion.” We are so thankful for the tens of thousands of dedicated sponsors like Jean who make sacrifices each month so that children in poverty can thrive. This year, our Board of Directors announced the appointment of our next President and CEO, Allison Alley. She will transition into the role once Barry Slauenwhite retires in October 2019, after 35 years of service to Compassion. Allison is a passionate advocate for children and lover of Jesus, and we’re so excited for this next season. In Canada this year, volunteers came up with so many ways to raise funds for children in poverty, including carnivals, pie auctions, chili luncheons, burpee contests, raking leaves and recycling. Compassion Canada released a new book and film series, Eyes to See, which guides individuals and small groups to explore how they can reflect God’s love to a world in need. We were honoured to receive the Word Guild award this year for Best Inspirational / Devotional book! 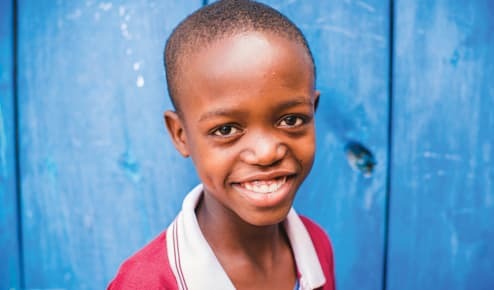 Franklin is just one example of how sponsors and devoted tutors like Quisqueya are helping children around the globe to reach their full potential! 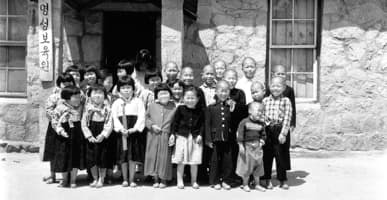 The first things you notice when you enter Compassion centre DR0140 are the sounds: the rhythm of a jump rope slapping the ground, the shouts and scuffles of a rowdy soccer game, a tutor animatedly teaching a class full of kids. It’s where you’ll see Franklin a couple times a week—playing with his friends, listening to Bible stories or drawing a picture for his sponsor. In short, he looks like a typical happy, healthy seven-year-old. Three years ago, he was anything but. Franklin lives with his family in Neyba, a city in southwestern Dominican Republic. They’re not far from beautiful Lake Enriquillo, a hot spot for eco- and adventure tourism. Despite the draw of tourism, many communities in the area—both urban and rural—remain entrenched in the grind of poverty. 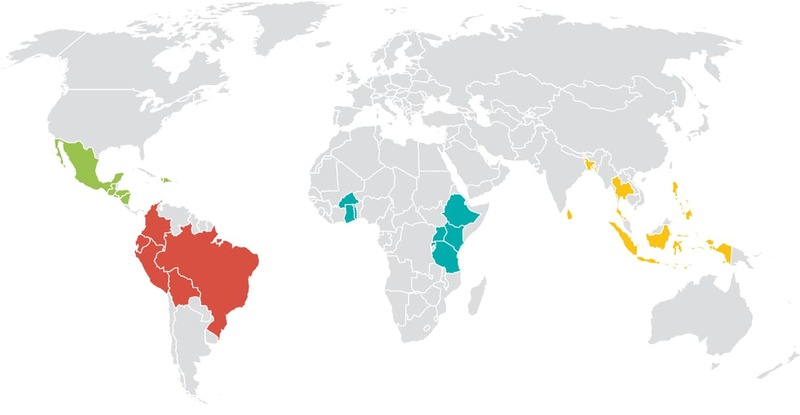 According to the World Bank, the province of Bahuroco—of which Neyba is the capital—is one of the most impoverished regions in the country. When Franklin was two days old, he was diagnosed with asthma and a heart murmur. His family lives in a small home beside a lottery ticket shop, where his father, Frank, works. But Frank’s income couldn’t support the medication or treatment his son needed to thrive. As Franklin grew older, his mother, Yeni, didn’t allow him to play with other children for fear the activity would cause his lungs or heart to fail. When Franklin turned four, he was registered in his local Compassion program. He was malnourished and lacked physical strength. But what his tutor, Quisqueya, noticed most was his lack of social skills. Quisqueya was determined to help Franklin become healthy in every aspect, so she had the centre’s psychologist evaluate Franklin. Taking the message to heart, Quisqueya found unique ways to communicate with Franklin, to create opportunities for him to interact and slowly build his trust. Gradually, Franklin began to open up. One day he felt comfortable enough to join her at the table. And then he chose to sit with the other children. Slowly, he began to talk, to interact, to join games voluntarily. As Franklin’s emotional health began to flourish, his physical health followed suit. He gained weight. Playing helped him grow stronger. With medical visits covered by the program, Franklin received the medication he needed to treat his asthma and was sick less often. Plans are also in motion for Franklin to have surgery to address his heart issues. Now, just three years later, Franklin is nearly unrecognizable. He is playful, loves joining his friends for snack time (especially if it’s rice pudding) and is doing well in school. 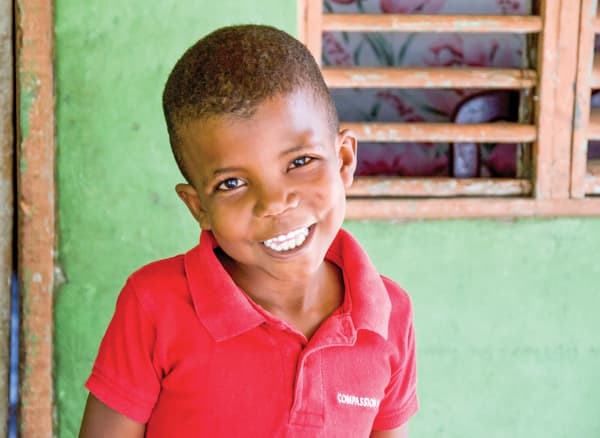 He says he wants to be a teacher—and Quisqueya is determined to help him reach that dream. Here’s how your donations were used. *88.5% of our Ministry Activity funds go to sponsorship, 11.5% go to non-sponsorship activities. *These activities are funded by donors to our Complementary Interventions. Percentages are rounded. This pays for all of our fundraising staff, print and radio advertising, printing and distribution costs for our mailings, fundraising events and online activities. Compassion does not, directly or indirectly, pay finder’s fees, commissions or percentage compensation based on contributions. *Excluding any gift where 100 per cent of the funds are designated to program use (such as child, family and centre gifts). In our last fiscal year, Compassion’s support came from 89,437 individuals, families and organizations. 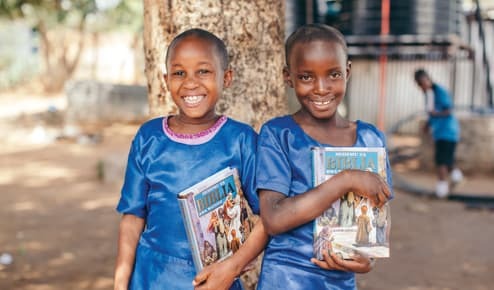 Their generosity allowed us to continue our mission of releasing children from poverty, seeing them develop healthy minds, bodies, relationships and a lasting faith in Jesus Christ. Individuals and families make up 97.3 per cent of our total supporters. The other 2.7 per cent comes from businesses, churches, schools, foundations, service/community organizations and other groups.